The above info came from animeboy, and was edited by yours truly (contact me). The image came from Amazon.com. 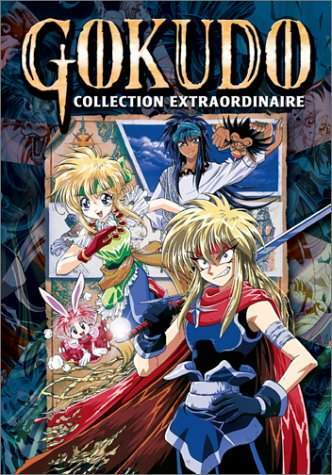 Gokudo is an adventurer who does anything he wants, whenever he wants, to get whatever he wants. Well, that is at until he steals a magic sword. After having a lesson on humility amoung other things, he goes on a quest to save the world. The above description came from animeboy, and was edited by yours truly (contact me).